Can't Get Preganant? Check Out These Three Fertility Operations | Tuboplasty - Restoring Your Fertility by Dr. Joseph Hazan, M.D., F.A.C.O.G. Infertility is defined as the failure to conceive (regardless of cause) after one year of trying, and it is a serious problem that many couples attempting to start a family encounter. For many of them, after years of trying desperately not to get pregnant, it is extremely upsetting that the cannot. There are many different reasons why a woman might not be able to conceive: about 10% of infertile couples are affected by endometriosis. Age can also play a factor as it has been found that after 35, women in a study had only a 30% chance of becoming pregnant in any given month. Despite popular opinion, for women, sterilization surgeries are actually reversible in many cases. If you are unable to get pregnant because of a previous sterilization, consider a tubal reversal. The operation involves rejoining the severed sections of the Fallopian tubes. For this operation to work, it depends largely on the skill of the surgeon and in vitro fertilization may still be the best way to go about getting pregnant. 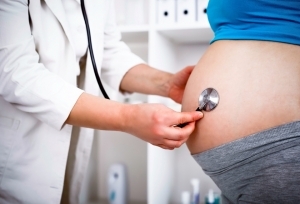 Affordable tubal reversal is only a doctor away! One reason you might be having trouble getting pregnant is because of scarred and narrowed fallopian tubes. A tuboplasty, which is a fairly simple surgery, can unblock fallopian tubes. A small balloon topped catheter is inserted into the damaged tube, and then inflated. This creates a passage for the egg to pass through in order to reach the uterus, and the hope of pregnancy after tuboplasty. The procedure is quite similar to an angioplasty, which clears blockages from the arteries of the heart. The fimbriae are the ends of the fallopian tubes, and they can sometimes fuse together. This blocks the fallopian tubes, preventing eggs from entering the ovary. A fimrioplasty is a micro-surgery that opens up the blocked tubes, hopefully leading to a pregnancy. If all that is between you and a child is a small, simple surgery, there is no point in postponing or holding off! The chances of getting pregnant after tubal reversal, or pregnancy after tuboplasty is comparatively high. Investigate the possibility that these procedures may work for you today.